In order to really evaluate the threshold concepts appearing in the ACRL’s draft Framework for Information Literacy for Higher Education, I had to wear two hats – my librarian one and my instructional design one (a good argument for blended librarianship!). Before I delve into them though, I’d like to say a few words about the process of identifying threshold concepts. In my last post, I talked about the 5 characteristics of threshold concepts. ACRL is utilizing 4 of those characteristics (they’ve determined that bounded is not relevant to information literacy). I think only two are really necessary – transformative and integrative. In my opinion, the others are too ambiguous to really be useful since they are described in terms of probably, possibly often and potentially (confusing, not?). So for practical purposes, I only looked at those 2 characteristics for this post. It’s transformative because it teaches students how to participate in the cultural and institutional practices of an academic community. It’s integrative because students will make connections to the concept across courses and within disciplines. It’s vitally important for students to go beyond evaluating the development of scholarly conversation with this threshold concept — they must also practice scholarly conversation themselves through debate and discussion. In addition to the possible assignments listed in the draft, students could, for example, debate the interpretations of competing academic arguments appearing in the literature (e.g. more guns, less crime vs. more guns, more crime). In any academic research, the thesis statement is the problem statement. The objective of scholarly research is to explore problems, identify solutions and contribute to the scholarly conversation within a given discipline (or across disciplines). Inquiry is inherent in the problem solving process. “Research as Problem Solving” is both transformative and integrative in that students will come to understand problem solving as a process of inquiry and research both in their academic work as well as their daily lives. Problem-based learning fits well with this threshold concept. Format as Process refers to understanding that the processes of developing information resources originate from different needs, motivations, values, conventions, and practices, and result in different formats, but the underlying questions about value of the information and its potential use are more significant than the physical packaging of the information source. I’m not a fan of the sole focus on format in information literacy, especially now that we are entering the age of information convergence. I’d rather focus on how information is used as a tool in scholarly or popular media. What is the underlying message and why was it delivered that way? Format is only one factor in that analysis. This threshold concept is related to critical, media, digital and information literacies. “Information as Tool” is transformative because it enables students to recognize that the purpose, message and delivery of information is deliberate. It’s integrative because it increases students’ critical understanding of the world of information — necessary for developing reasoning skills. Instructional activities that are designed to examine the underlying decisions made in creating a particular information source would work well for this concept. Alternatively, role playing activities that require students to create media messages that serve a specific purpose would be effective. One of the problems I think we’ll run into with threshold concepts was illustrated in this post. Differing professional opinions coming from different perspectives will make them hard to truly define. Information literacy is socio-situational in nature and any threshold concepts that are identified will have to attempt to transcend that. That’s quite an undertaking. Bottom line, if the ACRL’s threshold concepts don’t work for your students, identify your own. Anything that gets you thinking about student learning is a good thing! 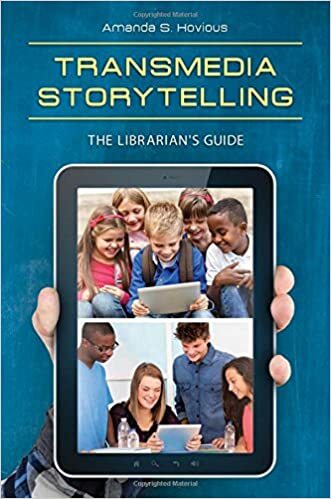 As I read more about threshold concepts in terms of student learning and ACRL’s draft Framework for Information Literacy for Higher Education, I see the implications for professional development for librarians and the need for library schools to evaluate their curricula. As librarians, are we adequately trained to think about how our students learn? As an instructional design student, this week my course focused on how we process information, and one of the topics was metacognition’s role in learning. The draft Framework uses metacognition as one of its foundational ideas. The student’s awareness of his or her own thought process as learning takes place becomes central to fully engaging with each threshold concept. I found an article that successfully used this concept to improve student engagement with reading texts. Wilson & Smetana (2011) utilize the strategy “Questioning as Thinking” which helps the student discover when understanding breaks down while reading a text, prompting the student to engage in a metacognitive strategy to overcome it. They support the idea that “teaching students to be metacognitive is a key element to developing effective readers” (Wilson & Smetana, 2011, p. 85). I believe effective reading is at the heart of information literacy, and it makes sense that metacognitive strategies can be employed and taught in information literacy instruction. The work of Townsend & Brunetti (2011) provided some of the basis for the draft Framework. In their article about threshold concepts in information literacy, they explain how using threshold concepts can more fully engage the student by focusing more on why information literacy skills are essential, and precisely how these skills are useful across disciplines. Viewed in this light, information literacy has more meaning, permitting transformation of understanding and integration of concepts. Meyer & Land (2003) point out challenges: “Whose threshold concepts becomes a salient question” and they observe that threshold concepts may not apply as well in all disciplines (p. 13). While the draft Framework encourages librarians to collaborate with colleagues across disciplines, the focus remains on supporting the learner, and interpretation of the threshold concepts may have to be adjusted depending on the discipline. Librarians will need time to adjust to this new way of thinking about how and what we teach. It is certainly an opportune time to be studying instructional design. Townsend, Lori, Korey Brunetti, and Amy R. Hofer. (2011). Threshold concepts and information literacy. portal: Libraries and the Academy 11(3), 853-69. Retrieved from the Walden Library databases. Wilson, N., & Smetana, L. (2011). Questioning as thinking: A metacognitive framework to improve comprehension of expository text. Literacy, 45(2), 84-90. doi: 10.1111/j.1741-4369.2011.00584.x. Retrieved from the Walden Library databases. I couldn’t agree more Joan. I want very much to get my hands on the library school curriculum and re-design it!